By design, licenses are periodically and automatically revalidated. This is called an "automatic license seat release." However, in certain cases (ex. if a device is offline for an extended period of time), automatic revalidation can not occur. If a license is not validated for 60 days, previously activated license seats are automatically released. 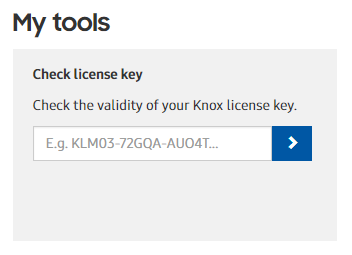 You get a Knox license from one of our resellers. You need a license for Knox Platform for Enterprise, Knox Configure, Samsung E-FOTA or Knox Manage.